The recent intense two-week meeting on trade in endangered species has been described as a failure in many newspapers and blogs, principally because member countries could not reach an agreement on new trade measures to protect certain marine species. The fifteenth Conference of the Parties (COP15) to the Convention on International Trade in Endangered Species of Wild Fauna and Flora (CITES) held in Doha, Qatar, included an unprecedented number of proposals regarding commercially exploited aquatic species. CITES protects roughly 5,000 animal species and 28,000 plant species from over-exploitation through international trade. Each protected species or population is included in one of three lists, or Appendices, reflecting the extent of the threat to it and the controls over its trade. Bearing much of the spotlight this year was the controversial (and unsuccessful) bid to get the Parties to list the Atlantic bluefin tuna in Appendix I (for species that are threatened with extinction and are or may be affected by trade). However, rather than dwelling on the negative, my argument is that this summit should instead be viewed as the impetus for strengthened political will on many issues — the most important being a resolve to strengthen enforcement and compliance of the convention. The key to the success of any multilateral agreement is effective enforcement and compliance. Although CITES is legally binding on the Parties, it does not replace national laws. Rather it provides a framework that must still be adopted by a country’s own domestic laws to allow implement CITES at the national level. Even after a species is listed in the convention’s appendices, if enforcement at the national level is not enough (either due to poor law enforcement or ineffective judiciary), “failure” can nonetheless occur. 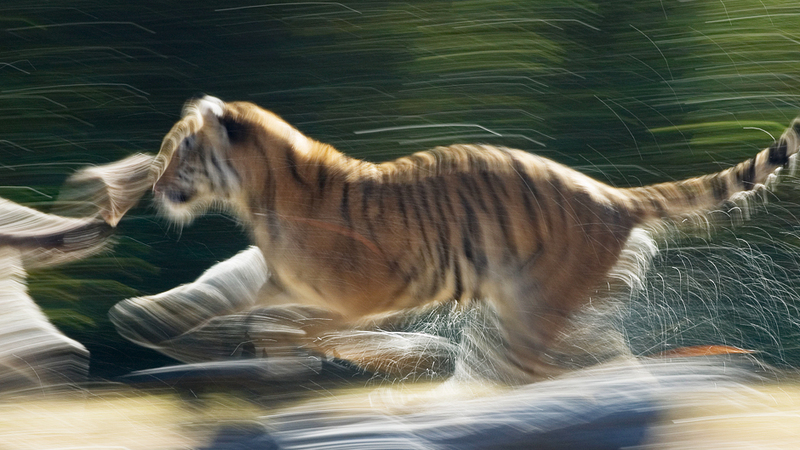 The current number of tigers lies at an astoundingly low 3,200 according to CITES. In the case of this majestic animal, even the CITES Secretary-General admitted that protection has failed and this has been primarily due to lax law enforcement at the national level. If monitoring the illegal trade in terrestrial mammals like tigers has been difficult, the monitoring of the vast ocean in protection of bluefin tuna presents an enormous task for certain. Though it did not make the list this time, I venture to predict that bluefin will end up just like the tigers; listed in Appendix I but still critically endangered. This is because the quantity of tuna consumed as food is higher than that of any of the species currently listed in CITES. “Though it was disappointing, the rejection of the proposed Atlantic tuna international trade ban should be seen as an opportunity, not as a failure,” said Sergi Tudela, Head of Fisheries at WWF Mediterranean. Tudela and others believe that the International Commission for the Conservation of Atlantic Tunas (ICCAT) — comprised of member countries, many of whom have an interest in maintaining the tuna trade and in theory the species — is in a better position than CITES to ensure that tuna populations are sustainable. The disappearance of tigers brings a clear indication that it is not the listing of the species that ensures its protection, but strong enforcement at the range state coupled with social awareness. If demand drops, commercial and economic pressure will lessen, as will resistance to enforcing the law. Poachers will move on and find a new beast to exploit. Bearing this in mind, post-summit strategies should focus on strengthening governance, enforcement and compliance of the Convention at a national level. The World Bank, for instance, noted during the meeting that they were assisting developing countries with natural resource management and good governance as well as the Global Tiger Initiative. They stressed that the goal of the global tiger programme was to double the number of tigers by 2022 and to halt all trade in tiger parts through good governance. Countries like the United States, the United Kingdom, those of ASEAN, and now India, have special units of wildlife crime control to which dedicated officials are appointed to strengthen enforcement and compliance. What post-conference meetings — i.e., standing committees and working groups — should examine is whether a similar unit can be set up in all 173 countries that are party to the Convention. A well-structured data collection and analysis framework is also mandatory to see that there is effective enforcement at a grass roots level. However, even where good governance exists, complete compliance is often not achieved due, in part, to high security requirements imposed on enforcement-related information sharing from one level to the next (e.g., from the state to central level or between two countries). This inhibits timely information flow and enforcement organizations can become reluctant to genuinely share information as they fear that controlling information that has left their domain will be difficult. For this, and other reasons, there has not been any successful model since CITES came into existence in 1973. The first attempt to develop an information system for monitoring enforcement of CITES was in 1997, when the CITES secretariat introduced the aptly named Trade Infraction and Global Enforcement Recording System (TIGERS). TIGERS facilitated the recording of information about wildlife crime and illicit trade received from a variety of sources, especially from CITES management authorities and from national enforcement agencies. The system, however, was not for national-level usage as it contained global information on wildlife crime that was supposed to be kept confidential by the CITES secretariat. Hence, sharing information from TIGERS with all CITES parties was not possible. During COP14 of CITES, held in the Netherlands in 2007, the secretariat admitted that its reporting process regarding compliance to the convention was poor, primarily because submission of information from the parties to the convention was insufficient. Positively, last week’s Doha meeting decided to establish an illegal trade database working group and seek external funding to support these activities. It was recommended by COP15 that the database should be established in line with the EU TWIX model. Since 2005, United Nations University (UNU), has been researching to create an effective information system model through the Wildlife Enforcement Monitoring System (WEMS) initiative. WEMS could help in overcoming the challenges reported in the previous cases. The idea is, instead of focusing on developing global systems, to direct resources to strengthening the national capacity of states (parties to the convention) to collect, compile and analyze information on wildlife crime. This information can then be brought to a common discussion table (either during CITES meetings, standing committees or workshops). The UNU is now working with Environmental Systems Research Institute corporation, CIESIN-Columbia University and Bond University in Australia to introduce the WEMS system at the national level. The first pilot study will be conducted in India. The partnering agencies will be Wildlife India’s Crime Control Bureau and the Ministry of Environment and Forests. The choice of India reflects its reputation as a the hub for information technology research and one of the fastest growing economies in the world. We believe that if WEMS can work well in India, it will be a good model to export to neighboring countries as well. What those concerned about enforcement now need to work on is incentivizing national governments to be part of solutions that protect endangered wildlife. CITES, like any convention, faces difficult challenges in getting several competing actors, including national governments, scientists, business groups and conservationists, to agree on decisions that affect them in different ways. Despite disappointments, what we should look into are the positive developments that have come out of recent decisions. CITES COP15 has had success in raising awareness of these issues amongst the global public, perhaps reflecting the fact that 2010 is the International Year of Biodiversity. It has also been able to unite organisations like the United Nations Office on Drugs and Crime (UNODC), the World Customs Organization (WCO), INTERPOL and the World Bank to work together for the first time in the enforcement process. What those concerned about enforcement now need to work on is incentivizing national governments to be part of solutions that protect endangered wildlife. The challenge for multilateral agencies will be to direct sufficient resources towards implementing this goal at the national level, before it is too late to save our most vulnerable species. Endangered Species Trade Enforcement Is Key by Remi Chandran is licensed under a Creative Commons Attribution-NonCommercial-ShareAlike 3.0 Unported License. It is quite commendable to protect biodiversity and to reverse anthropogenic damages – I hope we will some day protect the bottom of the pyramid with as much zeal and dedication.